Bundesliga | Hoffenheim 4-0 Leipzig: As it happened! Hoffenheim 4-0 Leipzig: As it happened! 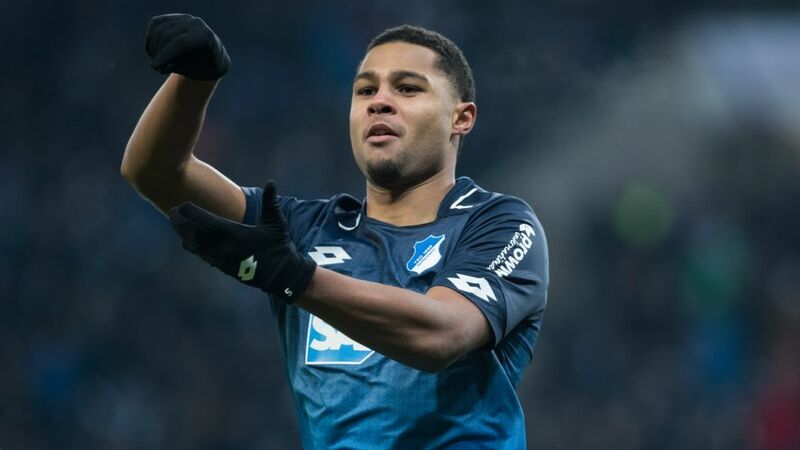 Hoffenheim produced a brilliant display on Matchday 14, beating fellow European contenders RB Leipzig by a 4-0 scoreline on home turf thanks to two fantastic goals from Serge Gnabry, one from the halfway line. Without a win in almost a month, Hoffenheim were hungry for that barren spell to end and it took them just 13 minutes to take the lead. Dennis Geiger spread the play to Pavel Kaderabek, whose sweeping pass was touched first-time into the path of Amiri, who picked his spot low in the far corner. Rupp's celebrations at what could have been Hoffenheim's second were curtailed by the offside flag as Hoffenheim sat deep and played Leipzig at their own counterattacking game, with more success. Ralph Hasenhüttl rang the changes at half-time, removing two defenders and bringing on Stefan Ilsanker and Bruma. Leipzig have already come from behind to win three times this season, while Hoffenheim have squandered a lead five times, which suggested there was still plenty to be written in this particular script, but the next passage belonged to the hosts as Gnabry doubled their lead, settling himself with is first touch from Kevin Akbpoguma's long ball and then striking past Gulacsi with his second. A touch of magic from Gnabry put the result beyond doubt as he lobbed Gulacsi from near the halfway line before Uth got in on the act and turned the knife late on. Head here for the Hoffenheim vs. Leipzig Match Centre!